2014 was an eventful year in the driver category for most manufacturers, including Callaway. At the beginning of the year came the highly touted re-launch of the Big Bertha name at Callaway with the introduction of two driver lines, Big Bertha and Big Bertha Alpha. Then, before you know it and likely before you were settled into one of your new Bertha’s, came the launch of the Big Bertha V Series driver in the summertime. Where did the time go? In this segment, we take a look at the V Series driver and how it compares to the Alpha so you can understand which one will fit better in your bag. The Callaway Big Bertha V Series driver is all about speed. Callaway’s designers thought long and hard about how they could enhance for those that need it the most by configuring a driver that allows them to deliver the club head back to the ball faster than anything they’ve used before. There is certainly a segment of the golfing public out there, one that struggles generating enough club head speed (and as a result, ball speed), who could benefit from the overall distance driven design of the Callaway Big Bertha V Series driver . The 460cc club head is the most aerodynamic shape to date and features an all-black head and face for a stealth look. The overall shape of the driver positions the center of gravity (CG) to produce a mid launch and spin that appeals to a wide range of players. 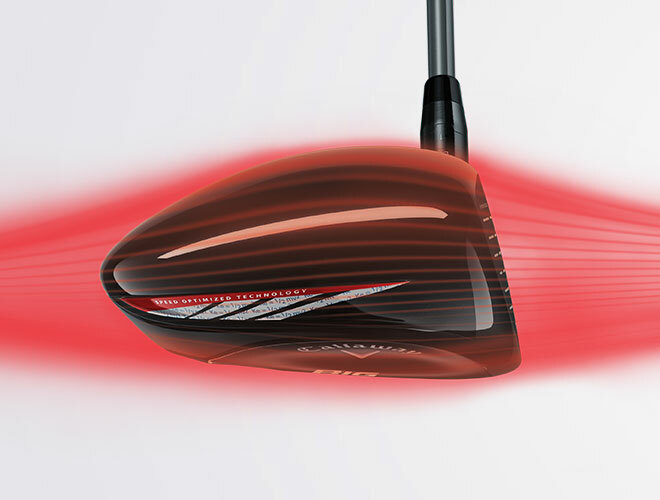 The shape also allows for the driver to pass more aggressively through the air to increase clubhead speed and ball speed, delivering more kinetic energy to the golfball than ever before. The Hyper Speed Face creates a super large sweet spot that’s lighter, thinner and stronger than previous models and while still being capable of maintaining higher ball speeds across the entire hitting area. With the Big Bertha V Series driver, Callaway put the golfer first when it came to design with three standard loft club heads uniquely built in their own right for separate swing styles. The lower lofted nine-degree club head is engineered with a slightly stronger player in mind (custom Fujikura Motore Speeder 565 shaft) while still focusing on incorporating lightweight components to achieve the speed and launch characteristics they desired. The 10.5 and 13.5 (HT) club heads are designed around speed challenged golfers with a super light sub-45 gram Mitsubishi Rayon Bassara E-series shaft that keeps the club’s total weight between 290 and 295 grams. The Callaway Big Bertha Alpha driver incorporates Callaway’s Hyper Speed Face technology within a 460cc club head that enhances the sweet spot and increases ball speeds on off-center hits. 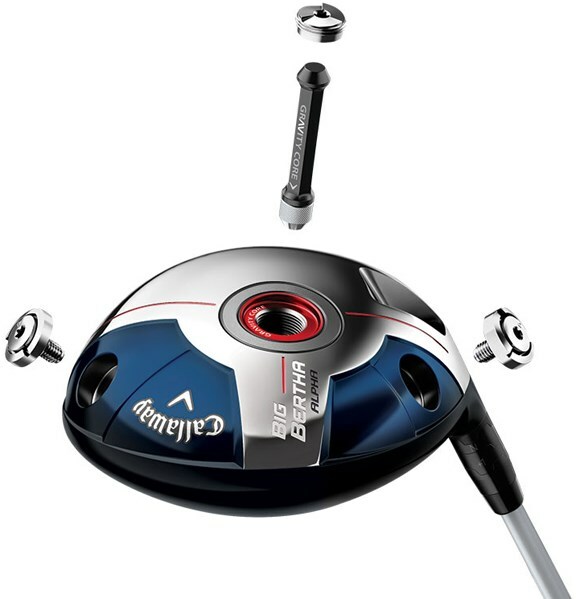 In addition, the Big Bertha Alpha driver has two adjustable weight ports (1 gram and 7 gram). The weights are located in the heel and in the toe of the driver and can be maneuvered to affect the fade and draw bias (additional weights are available for a more fine-tune fit). The driver also has Callaway’s Opti-Fit hosel where loft can be adjusted from -1 to +2 degrees from the standard loft of the club head. The Opti-Fit hosel also has a “D” setting in the dual adjustment system that gives you a more upright setting to help with a draw. Perhaps the most innovative feature of the Callaway Big Bertha Alpha driver is the gravity core system which includes a 12-gram tungsten plug that can be flipped inside the club head to allow you to adjust the backspin, independent of launch angle. This gravity core has been tested and affects backspin rates up to 400 rpm’s depending on the player. There’s no doubt that the Callaway Big Bertha Alpha driver does exactly what it is supposed to do – produce low spin rates; yet, it’s geared towards more talented golfers with advanced swings and the highest club head speeds (100+ mph) that are able to consistently deliver the center of the club face back to the ball. When all of these factors fall into place in one motion, the Alpha produces tremendous results. When they don’t, the Alpha can be difficult to hit (and launch) for the large majority of golfers, especially those who struggle to generate the consistent club head speed needed to deliver maximum energy transfer from the clubface to the golf ball. 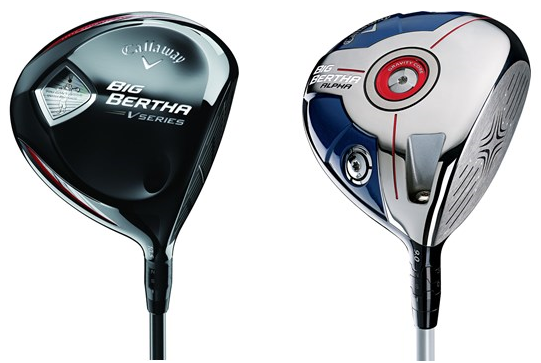 However, don’t foreget that the “V” in the Callaway Big Bertha V Series driver stands for Velocity. It’s fast and produces the desired results you’re looking for. I hope this helps you on your journey to playing better golf!